Move in ready, beautiful contemporary open floor plan home. 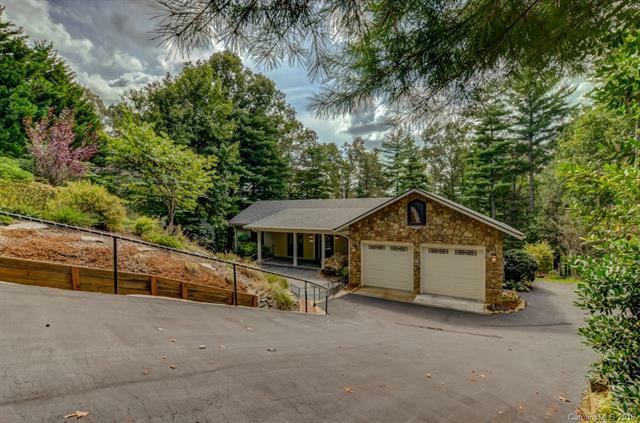 Terraced landscaping, mountain views, seasonal water views of the French Broad River. Located in quiet single entry point subdivision. Superior Walls of NC 10" system home, air scrubber, solar hot water, wired generator, radiant floor heat, natural gas boiler, chefs kitchen, Thomasville Cabinets, breakfast bar and breakfast area, large laundry, mud room with built in cabinets and counter space, pantry, and pet shower, spacious master suite complete with sitting area. private outside entrance, large master bath with walk in closet, walk in glass and tile shower, in-line heater jetted garden tub. Surround sound wired. Outside storage shed, patio, fenced in yard, decorative fencing. Outside entrance only basement partially finished basement space complete with full bath, walk in closet, wet bar. Outdoor putting green, covered patio, porches and wooden decks.